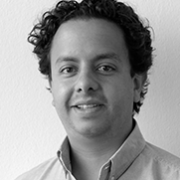 In 2009, Erik co-founded Guateque, a young advertising agency in Mexico with the aim of building a company, which understands brands and clients needs directly and has the people on board to develop strategic creative thinking but is also able to execute the strategies on the ground level. In 2012, he also co-founded Mezcal San Cosme, owned by the Hanneder & Maul Group, responsible for the conception, design production and launch of an independent Mezcal brand. He has worked with clients such as Jose Cuervo, Heineken, BAT, Telmex, Adidas, Mini Cooper, Sony as well as the public sector, Mexico President’s office and a recently created think tank created by the mayor’s office. Erik did his Bachelor studies at Instituto Tecnológico Autónomo de México (ITAM) in the field of Industrial Engineering and completed certifications at the European Business School Oestrich Winkel Germany in Global Network Governance, as well as in Creation and Growth of Companies at ITAM.